Many things have been said about the cuisine of New Orleans. Among all of those descriptive phrases, never has it been said to be boring. New Orleans prides itself on the diversity and the excellent quality of the foods served in our restaurants and homes. 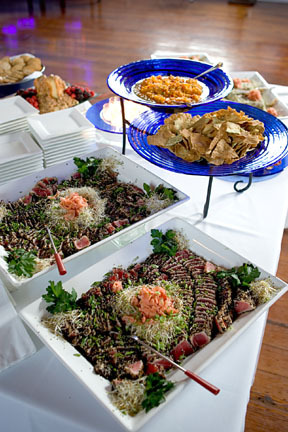 Venusian Gardens works with many of the excellent local caterers to provide all of your catering needs. Of course, Cajun and Creole dishes top the list. Cajun cooking with its hot, seductive spices is always a favorite whether you are a local or a visitor to our city. Creole cooking is a bit less spicy, having derived from French cuisine but is equally enticing in its exceptional use of local seafood and traditional sauces and seasonings. Here too you will be able to enjoy regional American cooking as well as the cuisine of many other countries to tantalize and satisfy your palate. 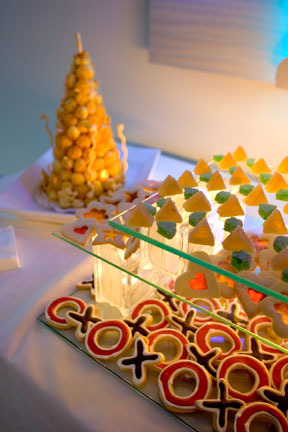 Desserts are always the crown on a meal and we can help you select a delicacy that will tempt you and your guests. Whether you are looking for the exotic or just Mom’s Apple Pie, your sweet tooth will know it too has had a treat. 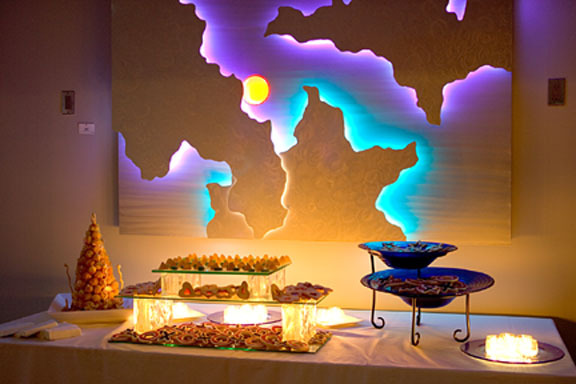 The choice of cuisine is yours: whether it is hors d' oeuvres or a full scale dinner. We are at your service. Perfect for Evenings in a French Quarter Courtyard or Anywhere in the Big Easy! This is just a sampling of the delights that we offer. Our actual selection is extensive and special requests are always welcome. There are many side dishes, salads, and soups to tempt you. 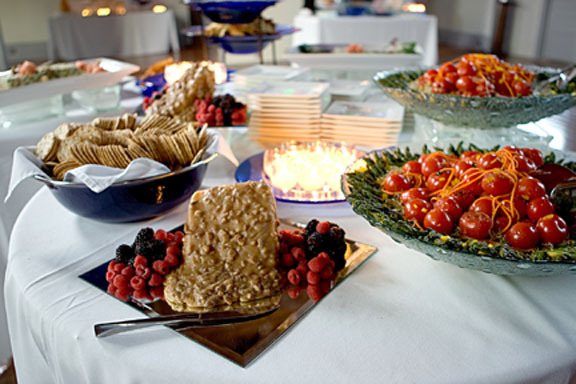 Let us know your preferences and we will devise a menu tailor-made for your event.